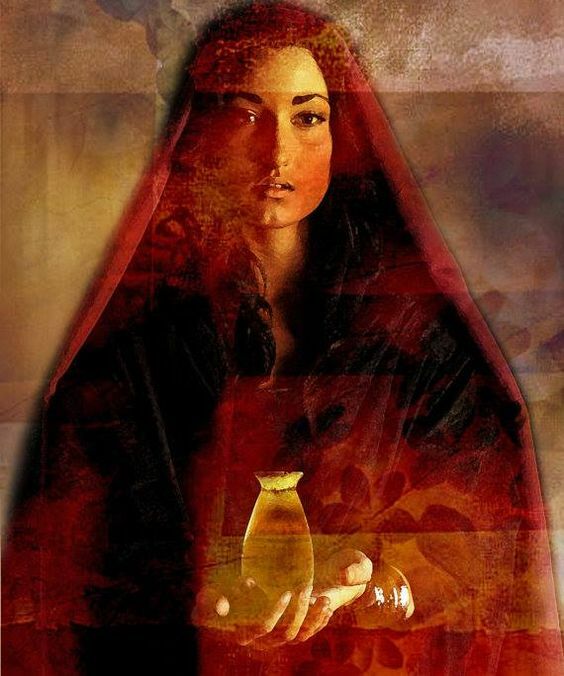 Good morning, Dear Ones, yes it is I, Mary Magdalene. As I come into your frequency I see that you are holding your light upon this most powerful day. I wish to speak about your light codes that are coming into this planet, and the power of this energy that is affecting your human body and your own psyche. I know that we’ve spoken very heavily about these energies, but it is very important to understand that these light codes have those what we call [unclear] forms in the light frequencies, and this pattern is quite unique for there is a mathematical equation that is being brought forward into your own DNA. What is happening is that it is the energy of what we call original creation, of how everything was designed and created within the universe. And these powerful light codes are now being infused within your pineal, your pituitary, and within your own DNA. And so Dearest Children I ask you to take a deep, inhaling breath, and begin to bring in this essence, for these powerful frequencies are of the beautiful golden and the white light natures, they are of great significance and of great power, for it is of the union that is being brought forward through the energies of the Christ light, merged with the energy of the beautiful energy of Shekhina, as this beautiful energy of Divine Feminine is beautifully merged with the energy within the Christ Consciousness energy. It has been brought forward into the Holy of the Holies, it is there that this energy of the light frequency is of great significance and great power. And so know at this time that the light that you hold, the peace that you hold, the energy that you hold, the essence that you hold is of greatness and of grandness. So I ask you Dearest Children to take a deep inhaling breath, and to breathe in the essence of peace, breathe in the essence and presence of light, yes Dearest Ones, it is known as the elixir of life, the original creation of all that is. And we ask you to breathe and release, and allow these beautiful, powerful light codes of the elixir of life to merge within your essence. The Holy of the Holies are here, and they stand before you, and they reach into your heart, and they open up your heart chakra if you so allow, and they allow you to merge into the essence of your being. Opening your vessel into the purest frequency, the purest of love, with your energy and your frequency in this essence of Divine Love, and allow the beautiful energy of the Holy of the Holies now to infuse you. For you see the light codes are merging through your being, and as we have told you before, they are creating both great love and joy within the hearts of many, and yet turbulence and chaos in others. These frequencies are indeed of the pure energy of God’s white light, and as they enter into your physicality, allow yourself to feel them with the greatest of ease. Allow this energy to come into your physicality, allow your body to respond. Allow your heart to open to the energy of peace, and allow the frequency of the energies to merge within your essence. And so as the beautiful Holy of the Holies stand before you, they surround you with this beautiful light energy, which if you accept, may you receive the essence and the embrace of their love. Today as you emerge into this frequency and allow yourself to shift once again from your third dimensional bodies into your crystalline light bodies, these new light codes are vibrating within you, like a beautiful rainbow of colors, as your body is vibrating and shifting and awakening, and anointing you with love, bathing you with the beautiful golden light of God’s love within your heart, within your soul, within your very essence you are being bathed with this beautiful beautiful Golden White Light of God. There is peace within your heart, and tranquility is felt upon your soul, so you understand and remember the energy and the essence of who you truly are. Remember Dearest Ones that you are Gods and Goddesses, and vibrant vibrant light. Remember Dearest Ones that you are vibrant, and you are light. These light codes are infused within you, it is the energy of original creation, these light frequencies are being infused within your physicality, and they are the gifts of life. We call them the gifts of life because just as your bodies, all of your lifetimes have been in service to humanity, to Mother Earth, and to the Great Creator, you have gifted your physical body. And so Dearest Children, at this time, stand in the purity of the love that you are, may you feel the essence and presence of these powerful light codes that are being infused within your system. Allow this energy to merge within your physicality, within your merkabic field, within your ethereal energy bodies. And allow this powerful frequency of the rainbow colors to now merge through your eyes, so you will be able to see clearly and feel the essence of love, so that you will see clearly and feel the essence of love. I know Dearest Ones it has been difficult for many of you, for you have not felt loved. You have felt cheated from life in many ways. And yet you have given your body in service, and these powerful light codes are bringing forth the power of love into your system, so that you can feel this energy and be revitalized, rejuvenated, and remember who you are, and the beautiful essence of all that you are. So I ask you to take a deep, deep, deep inhaling breath, and begin to breathe. Begin to breathe in the essence and presence of peace, begin to breathe in the essence and presence of love, and breathe in these powerful light codes. These light codes will be magnified for the next 30, 40, and 45 days. Yes, they are flooding the planet at this time, they will be quite magnified within the next 30, to 40, to 45 days. There will be intensity of energy, and as you pray and receive the light codes within your body, your bodies can heal, your bodies can be rejuvenated, your bodies can be restored with the frequency of love. May the heart of your heart be at peace, may the heart of your heart be love, may the heart of your heart be light. As you enter into this beautiful frequency at this time, we take you into the beautiful sea of creation, not the cave of creation but the sea of creation, it is the energy of vastness, of all that is, the energy of oneness. It is as if you are going into the universe, into the galaxy, and there dearest children, there is peace, there is love, and there is hope. And so Dearest Ones, I ask you to open your heart, to this beautiful beautiful energy of the sea of vastness. You are returning home, you see, it is a beautiful seafoam green, mixed with the golden beautiful white light. As if you are the vastness of the sea, but you are floating, and you are effortless. And your spirit is awakening, and returning back to oneness. This is what these beautiful light codes are doing, they are flooding each individual so that they may return to their oneness, and there as you imagine yourself as this beautiful seafoam green, the vastness of this energy, as if you are in space traveling through time, as it were. Not your physical body, but your spirit and soul are now being bathed in oneness. And there, Dearest Children, you are feeling this freedom out of your body, out of your soul, out of your mind. Into this beautiful frequency of love, and so as you allow your heart to open, and you feel this peace, and may you feel the tranquility, and may you feel the light of God surrounding you. And there you are in this beautiful frequency, as the energy holds you in this powerful powerful space of unconditional love. Can you feel this energy of unconditional love, and the vastness of the beautiful seafoam green energy? It is the seed of creation. It is where you were created, so allow all of your own essence and all of your essent self to feel this. Remember every soul journey, and every lifetime is being bathed with a sea of love. All of your incarnations, every aspect of your spirit and soul journey has been bathed in unconditional love. Can you feel it? Can you sense it? Can you receive it? Children you have sacrificed yourselves for your mission to serve this planet. And so we gift to you this beautiful beautiful beautiful energy, bathing you in unconditional love. Accept this as our gift unto you, for it is of great importance that you honor yourself and be honored for your service and for your devotion of all of your incarnations of time. For you see Dearest Children you do not know or understand all that you have done in service, in your history of mankind. And this incarnation may seem fruitless but it is not. You are here to hold the light, and regardless of what you are doing, or what you believe you are not doing, you are all holding the beautiful light for this planet to ascend, for humanity to ascend, for all the world to see and to know. Do not allow the darkness of the world to overcome you or overtake you. Do not allow anything or anyone to hold you back from your greatness and your grandness, just as Grand spoke last week of your magnificence, we are infusing these light codes within you today so that you can easily and effortlessly hold your frequency of grandness and magnificence, into your being. For those who are not for your highest good will fall away, people, places, things that are not for your highest good will fall away. And so know at this time that the light that you hold, the essence that you hold, the peace that you hold, the grace that you hold is indeed revered. We know Dearest Ones that it is difficult to be on the earth plane. Jeshua and I understood this, and yes, the Holy Mother, and Joseph, and all of us understood the difficulty, but we came together to be at peace and to bring love, and to bring the joy, and as we have said we left our imprint to be reawakened at the appointed hour, for the energy of Divine Mother, Divine Shekhina, to be awakened, the energy of Divine Goddess. And now we hold this beautiful essence in this powerful frequency today, and as you allow the energy to merge into your pineal gland, it will awaken your remembrance. And you feel the presence of God within your being. You will remember your oneness within your being, that you are no longer separated, that the world that you live in is an illusion, and holds the energy of duality. But you are never separated from your Creator God, you are never separated from the individual light codes of your original creation. And so today as you feel this energy of the vastness of the light codes flooding you, surrounding you, now accelerate yourself into the next leg of your journey, and when you make the decision to turn back into spirit, into the energy of the vastness of oneness, into your final ascension home when it is time, you will be pleased with how you have served. Today we are serving you, giving on to you, our gift of light. As I have said, these light codes are upon the planet for the next 30 to 40 to 45 days, flooding your planet with new frequencies and energies for humanity and all sentient beings. Where there has been darkness there will now be light and truth will now come forward. And each of you will be able to have the clarity of purpose that you have been seeking, clarity of purpose that you have been seeking. And may you seek the light inside of yourself, and Dearest Children the beautiful energy of St. Germain is with us, the violet flame of transmutation is now inside of each of you, transmuting your own darkness and opening your third eye so that you may bring the new light codes within your physicality into your third eye, opening and awakening your third eye even grander for clarity of purpose. And the pulsation and the energy that is being downloaded into your chakras, but particularly into your third eye, will allow you to hold the visions of your pathway, as one of the Holy of the Holies are here holding the frequency for each of you. You are very special and you are very important, and you are holding the frequencies inside of you. And so as you allow yourself to receive this gift of light, know that the heart of your heart is peace. And the heart of your heart is love, and the heart of your heart is joy. And the remembrance of who you truly are now comes flooding back to you. And yes Dearest Children, as the third eye opens, you will be able to see visions of your future, and understand your past and your present. You see it is a journey, and everything falls into place as it should. If you allow yourself to be in harmony and synchrony with your own oneness, and yet Dearest Children most of you second guess yourself, struggling as if you’re in a bubble of light, trying to get out of this bubble. You are resisting your connection to oneness. And you wonder why you struggle, we ask you to relax and to breathe, and allow the energy to unfold. Relax and breathe, and allow the energy to unfold. Relax and breathe, and allow the energy to unfold. May the light of God surround you the power of God protect you, the presence of God watches over you wherever you are God is and all is well. So we ask you to visualize yourself as a beautiful spirit no longer struggling with these light codes that are coming in at this time, which have tremendous tremendous power, and they hold the original creation. There has been separation, and this is why the energy of what you may call your Adam and Eve, for it is this separation of unity consciousness, and the division of the Divine Union, which became separated, the story is not the truth, but it is a parable, the parable of the division of the union of Father/Mother God in its separation from truth and oneness. So today we reconcile this within you, reconcile the division and the separation of Father/Mother God inside of you, you have returned back to Divine Union, and you are returning to your oneness, no longer struggling with the separation of your beautiful spirit and yes, the twin flames come together in Divine Union, and they too are unified in spirit. Unified in spirit, all flames are being unified in spirit, within physical form and in ethereal form, are being unified. This is the power of the light codes that are being brought forth at this time. There is no longer division or separation, there is only truth, love, light, and healing. And so as you feel this essence within your soul, that you have come now to reunification with yourself, the powerful energy of this beautiful energy, these beautiful light codes returning to oneness. I remember union, I remember the divinity inside of myself, I am love, I am peace, I am joy, I am light. And may the love of God surround you, and the power of God protect, and the presence of God watches over you wherever you are God is and all is well. And the Holy of the Holies have healed this energy around you, and it is of great importance and great significance that you honor the light that is being gifted to you today, and to all your essent self. It is a commitment that we and all of life have agreed to. Yes, all sentient beings on this earth plane have agreed to serve, and now, the beautiful energy can begin to serve you. Allow these beautiful light codes to serve you, to heal, to restore the love within your psyche or your soul. We are never far from you, so all you have to do is ask us, to call on these beautiful frequencies, for they are there for you, flooding around you every moment for the next 30-45 days. And you will begin to feel them, and begin to feel the energy, and will be rejuvenated, no longer walking through what we call the quicksand or the sludge of the energy on this planet. It is why we have taken you into the sea of Creation, into the vastness, returning you back into this creative energy of Oneness, where all is possible, and all that is. There is no resistance, there is only love. There is no fear, there is only light, there is no separation, there is only unity. And so today as you feel this embracing around you, and truly truly surrounding you with unconditional love, you are all loved more than you can understand. We want you to feel it, and to acknowledge it, and bring it into your heart chakra, and feel at peace. I am love, and I am loved, I am love, and I am loved. May the love of God truly surround, and may the power of god truly protect you, and the presence of God watches over you, wherever you are God is and all is well. What may appear to be separation within your life is an illusion. Step into the vastness of these beautiful light codes, into the sea of creation, and you will never feel alone, you will never feel separated. And so accept our gift unto you on this beautiful beautiful day. May the love touch you hearts, and may the Holy of the Holies anoint you, with the blessings of all that is, and all that shall be. We are here to serve you. But today as you allow yourself to open to this richness, this beautiful vastness, all that is, you are returning home to yourself, can you feel it? Can you sense it? And may it be bestowed upon your soul, and so we will leave this with you upon this beautiful beautiful day, allowing your heart to open to this richness of love. We will take our leave now, and allow you to feel the essence and presence of this energy, and may you return back into consciousness, for this is no longer to be a planet of fear, it is to be a planet of love, and you Dearest Children as you are bathed in the love, will serve the light of God, in your truest essence. Now go my children and be at peace, and know that you are God.